So I know studying can be one of those things which you always leave till the last minute because you just don't want to get on and do it; I know that, been there; done that. Especially in school! However, there are so many tips and tricks on how to motivate yourself to work harder and study more. It's important to remember that there's always time. So much time, you just need to know how to plan your time efficiently. Know when you have a spare hour in the day to get some studying in. Or a half an hour break in your day when you can read through some of your books. As a student, I know what I do to help me study. Whether this is for an exam, a presentation write up or even writing an essay. 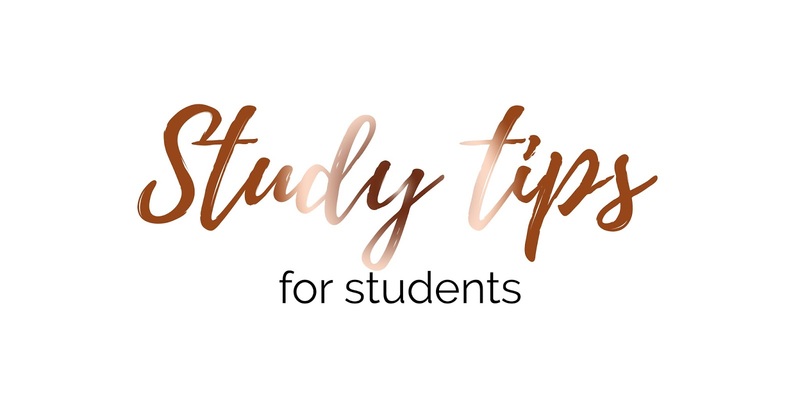 So I'm going to share 15 tips on how to study efficiently and make the most out of the time you have. And always remember; there is a purpose too this! You are studying for a reason. 1. Always refer back to your module guide. 2. Make use of the recommended reading list. 3. Do not leave your studying till the last minute. 4. Use post it notes and a lot of them to jot down your notes! 5. Little and often! Take breaks every hour instead of sitting in front of your laptop for hours. 7. Find somewhere where you study best. 8. Plan your work! & Know exactly what you're going to do. 9. Stay positive and remind yourself that you can do it! 10. Make use of your lecturer; they are there for a reason. 11. Make use of your friends; if you're stuck, ask them! 12. Learn from mistakes; what could you do better next time? 13. Don't stress! It'll make everything worse. 14. Pens, highlighters; the lot; make your work colourful. 15. Remind yourself why you're doing this. As a student myself, I found these tips super useful! I would definitely say that referring back to your module guide and reading lists are particularly important as it's so easy to go off track when you're writing essays/revising etc., but actually everything is in the one place if you just look for it!